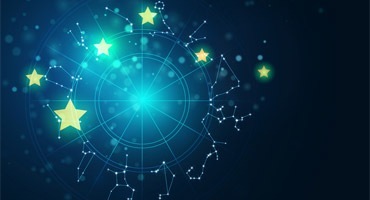 Numerology/अंक शास्त्र is the study of numbers used to predict future happenings, judging of one’s character, or attempting to acquire connections with the occult. Based on a simple number, and alphabetical system, Numerology is probably one of the easiest arts of the occult to use and understand. Predating back to ancient times, Numerology could very well be traced all the way back to the history of mankind. It was used in ancient Greece, Egypt, and the Roman Empire with many books presenting reference to the art. Many Egyptian priests and Greek philosophers engaged in the study and understanding of Numerology throughout the centuries. Even Moses was taught Numerology from an Egyptian priest who later conveyed it to the Hebrews. Although Egyptians played an enormous role in the production of Numerology, some credit must go to Pythagoras during mid-sixth century B.C. who founded the Pythagorean System, the most commonly used Numerology system today. Pythagoras’ System goes along with our alphabet of today in a basic method of cycles from one through nine. One being the letter ‘A’ and nine being the letter ‘I’, then continued till the end of the alphabet. He believed that the life force for everything around us revolves around these nine numbers. Thus, our birth date, address, and even our name can be translated through Numerological method. Astro Mantra defines different characteristics, mainly from our birth date and age and analyses the actual state of art of your life. This contains Name & Numbers, Numeric predictions, Number & Diseases, Number & Career and Combined numbers to provide a complete knowledge about your future. There are the primary numbers which are one through nine and there are the master numbers which are eleven and twenty-two. All numbers above number nine are able to be reduced by simply adding the numbers together. Read more..